Show is 2 hours long. Sing, clap, and laugh along with Jamie Dailey and Darrin Vincent as they entertain you with their exciting musical variety show! The duo has been recognized by country, bluegrass, and gospel critics nationwide, delivering precision, clarity, and soul in every performance. The duo has released 4 award-winning albums, and have given their lives to their music with charisma and focus that gives an entirely new performance each night they take the stage. Hear Dailey and Vincent and their exquisitely talented band members as they play their hearts out and give you a show to remember! Listen to the duo perform hits like "Brothers of the Highway" and "Steel Drivin' Man" and hear their expertly arranged vocals taken from years of singing together before forming their partnership. 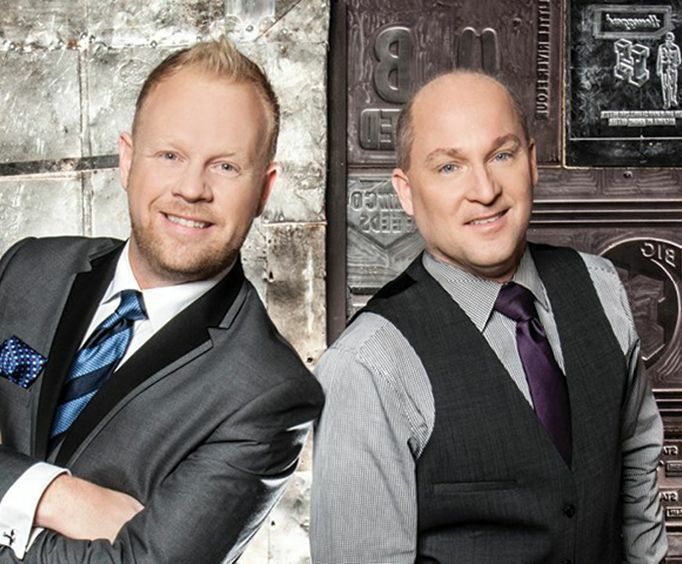 Dailey and Vincent play nearly a hundred sold out shows every year and have a strong following of fans, you'll want to see them perform over and over again! What is included in the admission price for Dailey and Vincent All American Music Tour? Approximately how long is the Dailey and Vincent All American Music Tour? "We love dailey & vincent." We love dailey & vincent. Their concert seemed a bit unorganized. Great music! "My mom loves this group." My mom loves this group. It was very enjoyable and nice clean entertainment. Outstanding show with fantastic featured musicians. This show was the reason we went to branson and we weren't disappointed. Two solid hours (no intermission) of great music. You won't be sorry you go see them.